While the utilitarian, industrial look is enjoying a bit of a renaissance these days, the rustic look is tried and true and will never go out of style. How could it? After all, it’s been around for ages! Install a fern leaf fan or Adirondack-inspired wall sconce to any room for a look that is at once homey, comfortable, trendy and long lasting. Our lighting fixtures not only look and feel like the good old days, but they’re also built to last. Bring a bit of the outdoors indoors to give your home a unique and distinct style. Like lighting a candle, rustic lighting fixtures will automatically warm up a room, and they can add a bit of romance and mood lighting to even the coldest environments. Just flick on the switch, and your home will automatically light up with a warm and comfortable feel, where you can kick back, relax, and enjoy the comforts of your home in a warm and welcoming environment. 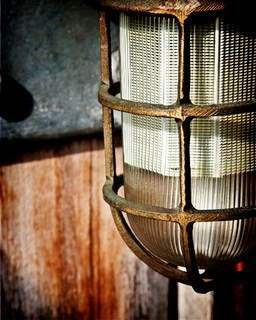 If you think your home needs a bit of added comfort, take a look at our wide selection of rustic lighting fixtures for your home. Some things just never go out of style. And, some things do (but come back in, again and again). Who would’ve thought that owning records would be the ultimate sign of hipster-coolness in the 21st century? Or that beards and moustaches would enjoy such widespread and mainstream popularity that entire websites – indeed, entire months! – are devoted to their hairy honor? Rest assured, a rustic or vintage-themed lighting fixture is one of those things that is just classic, that has never gone out of style (sorry guys, but the moustache has gotta go…again). So go ahead: throw on that old rock and roll record, pour yourself a drink, and switch on that warm glow with rustic lighting. You don’t have to grow a moustache to stay in style. And, unlike a moustache, adding a bit of rustic charm to your home is something you most certainly won’t regret later. In fact, you’ll enjoy it for years to come.